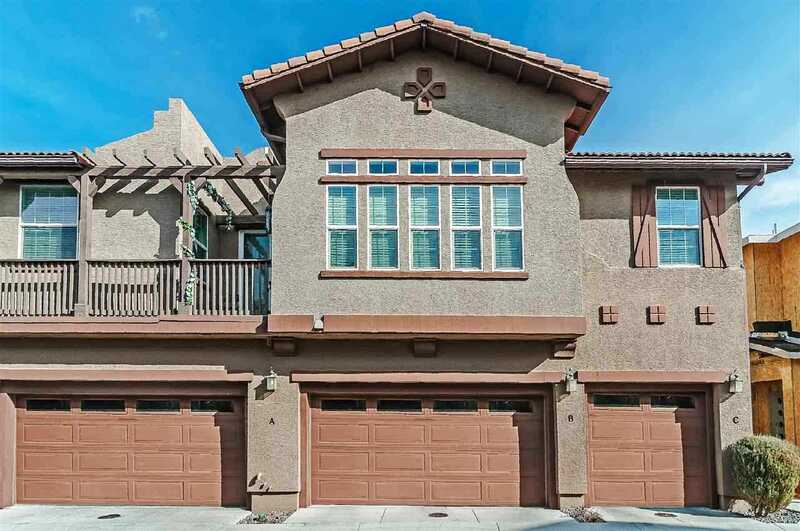 Located in Damonte Ranch in South Reno, this well-maintained townhome in Esplanade offers an open floorplan with three bedrooms, two and a half bathrooms and a convenient two car garage. The modern kitchen features granite countertops and stainless steel appliances, with rich cherry cabinets-refrigerator is included! The kitchen opens to the living room, which features beautiful wood flooring and a gas fireplace. Great location with easy access so shopping, restaurants, airport and recreation at Tahoe! SchoolsClick map icons below to view information for schools near 1860 Wind Ranch Road Reno, NV 89521-8543.